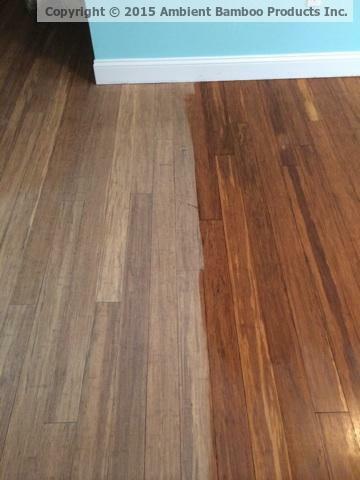 Have you been considering refinishing your bamboo floors? 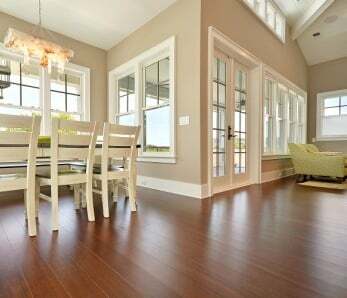 Like hardwood floors, bamboo floors add warmth, beauty, and value to your home. For these reasons, it’s important to maintain them on a consistent basis and check regularly to ensure they’re in good repair. 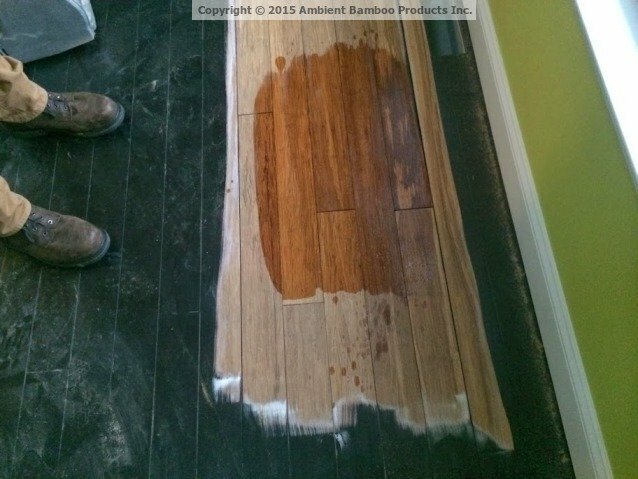 It can sometimes be hard to tell when it’s time to refinish your floors. 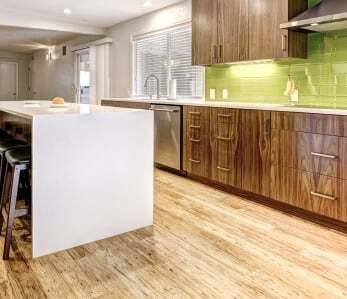 Like traditional hardwood , bamboo can be a bit deceptive. Should you see scratches or areas of discolorations, don’t panic, they don’t necessarily mean your floors have to be refinished just yet. Conversely, a surface that looks smooth and uniform might actually need some touch up work. Often the eyes alone won’t give you an accurate depiction of the shape your floors are in. 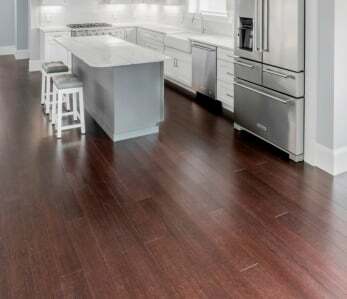 If you’re ready to begin work and you want to get started, check out this page for Please note that not all brands have the same finish, so you will want to contact the manufacturer of your floor to ensure you’re using the right tools, method and finish. Take a look at the section of floor in your home that gets the most daily traffic. This will likely be the area that is in most need of being refinished. Take just a tablespoon of water and pour it onto this section of floor and watch what happens. If the water forms large droplets that stay on top of the floor’s surface, your finish is in good shape. If the water slowly sinks into your floor, your finish is definitely wearing thin but doesn’t require immediate action. 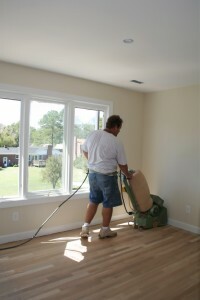 If, however, the water quickly penetrates your floors and leaves a dark spot, your floors may be ready for refinishing. Be sure to wipe up any remaining water after this test. There are numerous television programs that have many homeowners convinced they can tackle absolutely any home renovation/remodeling project. And with big box stores like Home Depot and Lowes catering to these people, why not think you can handle any job? Though refinishing your floors yourself may be the best choice for your wallet, it may not be the best choice for your floors. 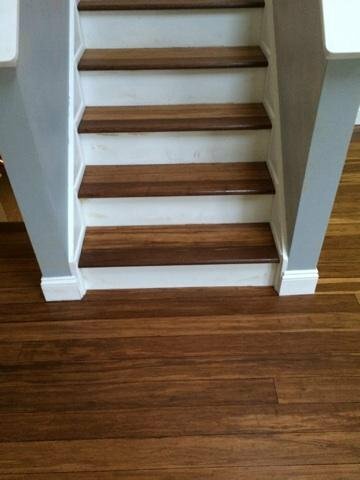 Bamboo floors can be difficult and labor intensive to refinish. 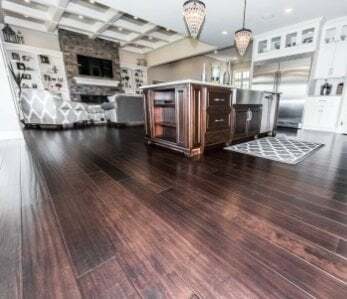 Though you can certainly choose to refinish your floors yourself, unless you have adequate experience, you may regret taking on this particular project. If you do decide to refinish your floors yourself you may run out to a hardware store and buy a sander or duster. But remember, you will only be using this rather expensive tool once and then not again for another 10 or so years. Your local home improvement center rents out these tools so you can keep your costs as low as possible. You will, however, want to purchase your own safety glasses and ventilation mask and will most likely be able to use them again. Do You Even Need to Sand? 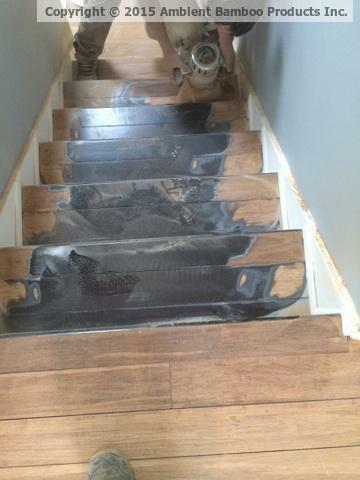 You may not even need to sand your floors. 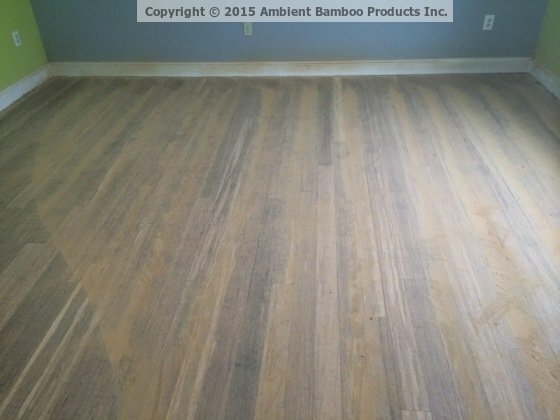 If the wear and scratching is minimal and doesn’t reach the actual bamboo, you might be able to get away with using a buffer to scuff-sand and only have to apply one or two coats of finish. This will save you time and money. 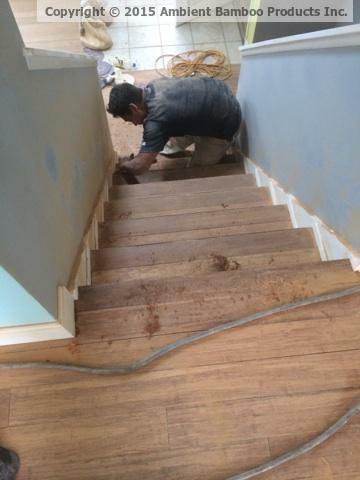 If sanding is required you’ll want to seal your floors the same day you sand them to prevent any moisture from being absorbed into your bamboo planks. Also, depending on the drying time between the finish you have selected, you’ll want to plan on completing your project in one day. Then, allow 24 hours for the seal to completely dry before loading furniture and rugs back into the room. You won’t be able to buff a room that has been cleaned or waxed with an oil-based soap. If this is the case, your floors will have to be stripped first with an ammonia and water mixture or an industrial cleaner. Test a corner of your floor for oil by lightly sanding and applying a little finish. If it sets you’re fine and can proceed with sanding/buffing (always check with your manufacturer first about the sanding and buffing methods that are acceptable for your finish type!). If you want to get the absolute best finish you’ll want to use a sheepskin applicator. Using a brush will streak your floors and rollers will create awful pools of finish that will discolor your floors. But using a sheepskin applicator will ensure your finish is smooth and even. (always check with your manufacturer first about the sanding and buffing methods that are acceptable for your finish type!). Once your first coat of finish dries you’ll need to buff the floor to remove any impurities. Make sure you clean up all of the dust before applying another coat. You can simply use an oil-infused cheesecloth to wipe up the buffer dust. (always check with your manufacturer first about the sanding and buffing methods that are acceptable for your finish type!). Since being introduced in the 1970s, polyurethanes have become today’s standard floor finishes. Water-based polyurethanes have a very low VOC content and are generally easy for a DIYer to apply. It’s recommended you use three to four coats. Water-based polys are great because they don’t give off nasty odors, dry quickly (usually between two and four hours), and they don’t yellow like oil polys. They are, however, more expensive than oil polys. Oil-based polyurethanes are tougher, longer-lasting and cheaper than water polys, but they do have a slight initial off-gassing odor when you open the boxes (not harmful). They also take longer to dry and it’s recommended you get your family (pets included!) out of the house for 8-10 hours while the floors are drying. Oil sealers have been used for centuries to seal and finish floors. Oil sealers have a couple of great things going for them: they are easy to apply and spot touch-ups are incredibly simple. 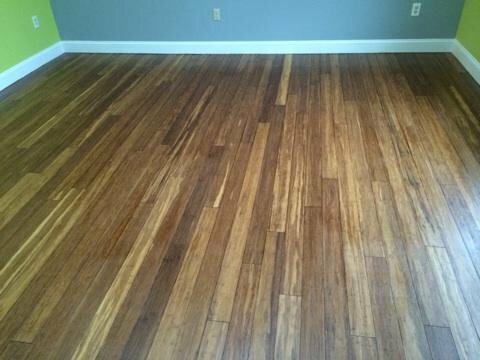 Another nice benefit is that because the oil penetrates the wood or bamboo, it enhances the color and grain patterns. Also oil doesn’t scratch, but you will need to recoat every two to three years as your finish will wear. Wax is one of the most traditional ways to finish a hardwood floor and was the method of choice before polyurethanes came onto the scene in the 1970s. For homeowners who don’t like a high gloss finish but prefer a low-sheen look, wax, either the paste or the liquid, would be a great option. Wax is also a natural finish with low VOCs and toxicity. It should be noted that wax tends to darken wood, so if this is not the look you want but you still would like to use a wax finish, then be sure to first apply a base coat of sanding sealer or shellac. bamboo floor beneath stain, test finish applied. After initial run with sanders using the cross-grinding technique. completed and prior to applying urethane finish layer. Half unfinished and half finished, starting to come together! I have a bamboo floor which I would like stained a darker colour. At the moment it is a light colour. I would like a quote please. Hi Ross! 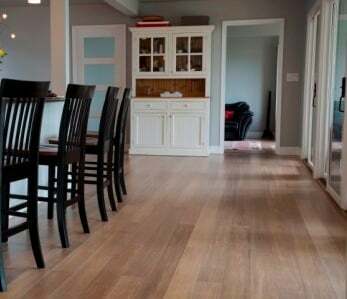 Unfortunately we don’t provide refinishing or installation services, as we are a bamboo flooring brand/manufacturer only. We recommend that you seek out the help of a an NWFA-certified professional. 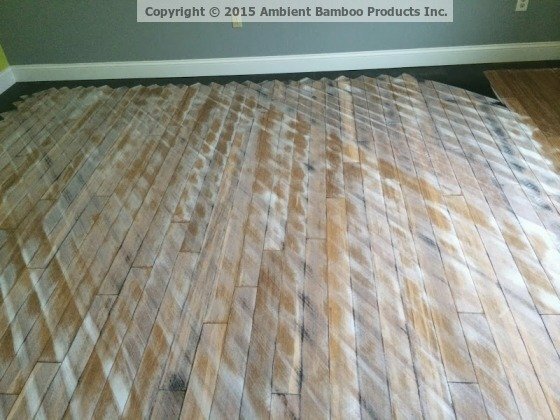 While can be refinished and clear-coated, it typically cannot be stained on site, however the traditional “classic” styles of bamboo flooring such as horizontal and vertical grains can be stained onsite.